Are GMOs Dangerous…? 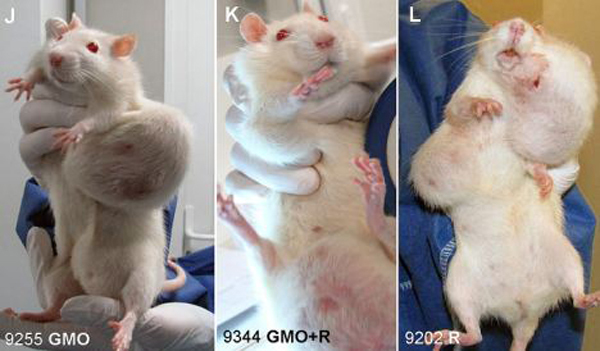 The GM process creates massive collateral damage in the plant, which can cause side effects. The American Academy of Environmental Medicine (AAEM) reported that “Several animal studies indicate serious health risks associated with GM food,” including infertility, immune problems, accelerated aging, faulty insulin regulation, and changes in major organs and the gastrointestinal system. The AAEM asked physicians to advise patients to avoid GM foods. An investigation performed by www.Natural News.com has found that many brands of vitamins and multivitamins, including those designed for children, contain derivatives of genetically modified corn. This discovery adds more bad news for commercial vitamins, following our recent survey of the unnecessary sugar and artificial colorings contained in many children’s vitamins. Take a look at almost any children’s vitamins and you’ll find they’re made with several GMO ingredients: aspartame, sucrose and often citric acid, too. In fact, children’s vitamins are by far the most toxic because they’re usually formulated with a much higher concentration of toxic ingredients such as artificial sweeteners, artificial colors and GMO-derived materials. Children should be eating superfoods or food concentrates, not toxic vitamins. Remember, too, that the low-grade vitamin pills are manufactured by companies largely owned by the pharmaceutical industry. They have every incentive to make sure their vitamins actually cause health problems rather than prevent disease. This boosts their long-term profits as sick children become Big Pharma customers for life. GMOs have been discovered lurking within vitamins, often hiding inside ingredients including – but not limited to – maltodextrin, citric acid, ascorbic acid, sodium citrate, natural and artificial flavorings, lactic acid, sucrose, xanthan gum and even vitamin C, according to The Non-GMO Project. The GMOs that these ingredients are commonly created from are unidentifiable by genetic ID tests, because they are so processed that all original DNA is destroyed during processing. However, they are often manufactured from GMO corn, including pesticide-laden Bt varieties. Maltodextrin, for example, is a powdered starch which is derived from corn. It is used as a filler for beverage mixes, as well as a flow agent for vitamin and supplement capsules. Most maltodextrin comes from GMO corn. Similarly, many commercial vitamin C supplements are made from heavily processed ascorbic acid, which comes from GMO corn. While there are certainly cases where supplements are needed (largely due to how we have harmed our natural environment), try to obtain all the vitamins and minerals you can from a whole, healthy, organic diet filled with a rainbow of fruits and veggies, organic proteins, and healthy fats such as coconut oil. ‘Superfoods,’ goji berries, organic kale and organic raw dark chocolate can amplify the nutritional quotient of any meal. If your kids don’t like the taste of some of these, they can easily be blended into smoothies which include other fruits, such as bananas and organic strawberries, to create a sweet and inviting flavor. If you do choose to take a supplement, look for ones labeled ‘non-GMO.’ Some manufacturers are starting to voluntarily label genetically modified ingredients, and while they may sometimes cost a little more, they are worth it to avoid potential risks to your health. When kids learn early on that nutrition comes from healthy food, and not from a pill, they become more able to make smart, nutrient-filled food choices throughout their lives.